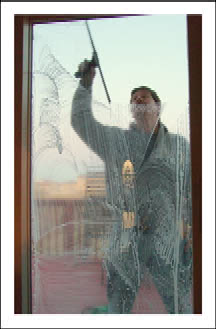 At Wilson Window Cleaning we take pride in providing quality service and attention to your needs. The customer has been the most important part of our business since 1970. When you choose Wilson Window Cleaning you know you are going with a family operated business that you can trust and know will provide quality work. You can learn more About Us and see our Services. Can’t decide on a window cleaner? ...We have a guide to help you choose the right window cleaner. We clean windows, chandeliers, gutters, and solar panels for homes, businesses, and industrial locations. We can work with you to meet your specific needs and budget. We love what we do and look forward to helping you have a home or business that looks its best.